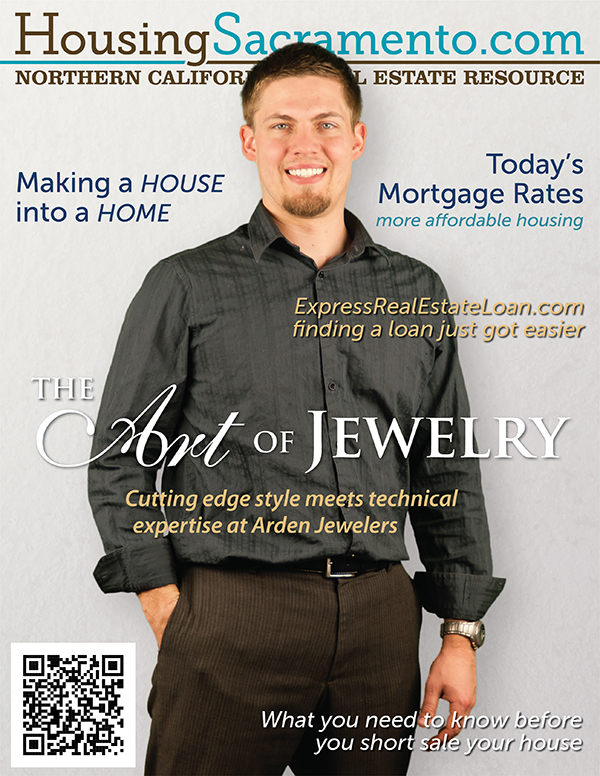 Angelo Parisi owner of Arden Jewelers talks about how jewelry can enhance your life. Angelo is a world class jewelry designer and he shares his thoughts about jewelry style. Angelo is a Graduate Gemologist. With that knowledge he educates us about the value of jewelry. Read Angelo's insights into diamonds, white gold, colored gemstones and engagement rings. Angelo Parisi, the creator of jewelry art. Jewelry adds so much to our lives. Jewelry holds a center role in one of our culture’s ultimate events. What wedding ceremony would be complete without the wedding rings? Jewelry is a definitive symbol of love and commitment. Jewelry is beautiful. Jewelry is enduring. Jewelry is valuable. Jewelry adds to the quality of our lives. 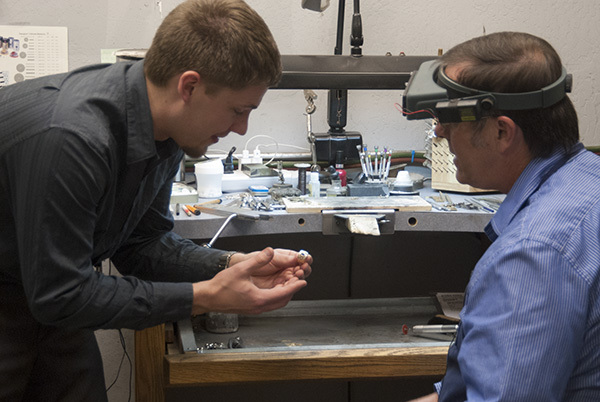 Angelo Parisi’s experience and knowledge will help us enjoy jewelry more. He will also help us understand values and styles. Angelo has evaluated multimillion of dollars of jewelry value. His astuteness will inspire us to a greater appreciation of jewelry. How do you(Angelo Parisi) approach designing jewelry? I(Angelo Parisi) approach jewelry design in two ways. First, when I am designing jewelry for a client. The jewelry design is what is important to them. I love working with a person one on one to achieve their jewelry vision. I also have a desire for one of kind creations. When I find a gemstone that has the “it” factor, it demands an amazing jewelry design. I create a piece of jewelry art. It is like cooperation between me and nature. We work together to create inspiration. What do you think is important about Jewelry Design? The two main factors I think that are important about jewelry design are the beauty of the piece and its structural fortitude. Jewelry is wearable art. Its main role is to be beautiful or attention grabbing. However it also has to be strong enough to be worn, so the structural elements have to be in place without distracting from the beauty of the piece. White gold is an alloy of gold and some white metals such as silver, nickel or palladium. The white color is achieved by a careful choice of the alloying metals, which bleach the deep yellow of pure gold. White gold and platinum are different metals which sometimes get confused. What Gems do you like working with? Diamonds are probably my favorite. They have so much Life and Fire! And even when they are small they can make a colored stone come alive when used tastefully. But I also really enjoy designing with the high end colored stones. When a ruby is so red that it looks like it will burn you if you touch it I am entranced, and have to come up with a design to show off the ruby. How do diamonds get their value? Basically, diamond’s value is derived from their rarity. But some diamonds are rarer than others. That is why the diamond trade uses the four C’s of diamond value. The first C is carat. Carat is just a way of weighting a diamond. A one carat diamond is .20 of a gram. The next C is cut. The cut of a diamond has two main components. First, cut refers to the shape of the stone. The second component is the way the facets are positioned on the diamond, how nice a diamond is shaped. Then next C is Color. Judging diamond color is actually looking for the absence of color or transparency (except fancy color). The color grading scale starts with D meaning totally colorless and moves down the alphabet subtly increasing in body color. The last C is Clarity. Most diamonds contain inclusions and clarity is the way we measure how many and how noticeable. What is the most popular engagement ring design? The short answer is the solitaire setting. 4 or 6 prongs holding a magnificent center stone with a thin elegant shank is a timeless classic. However the diamond halo with some intricate filigree is also very popular today. Can you Share a story of one of your jewelry designs? I was hiking near Lake Tahoe in the fall and came upon a grove of Aspen trees. Their leaves were a gorgeous shade of yellow and as the wind blew and the leaves were falling. I was inspired to design a new solitaire engagement ring. I love the ring design so much I decided to make a whole jewelry collection. I call the jewelry line Aspen. We have samples in the store Arden Jewelers. 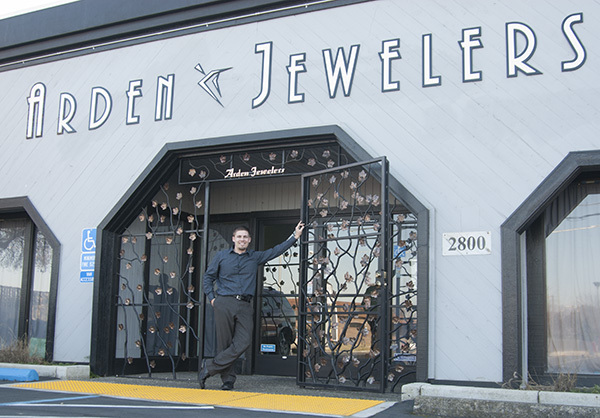 Angelo Parisi is an owner of Arden Jewelers located at 2800 Arden Way in Sacramento. Angelo is the head jewelry designer. 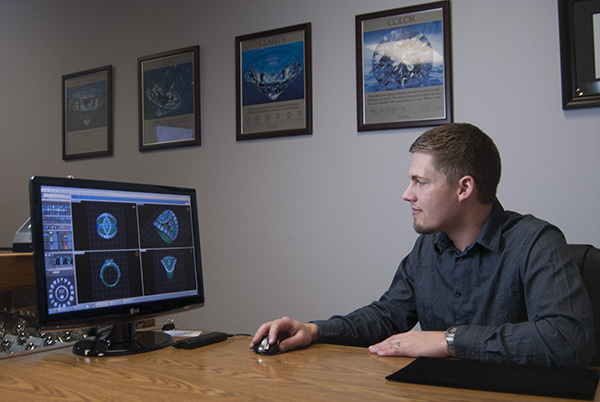 He works with a 3-d cad cam jewelry design program. Angelo says it helps him show the clients first what the design looks like then he can make the custom design jewelry. 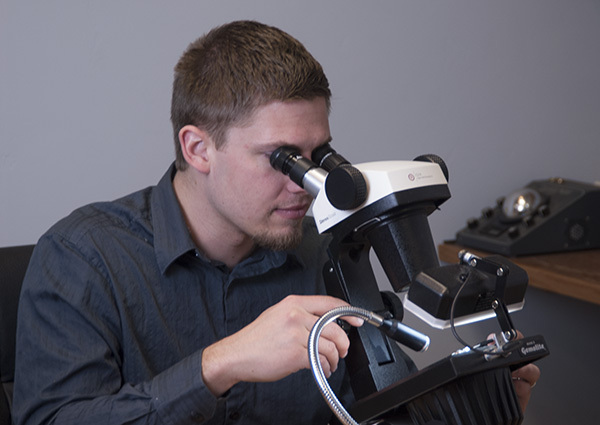 Angelo Parisi is a Graduate Gemologist (GG) from Gemological Institute of America (GIA). 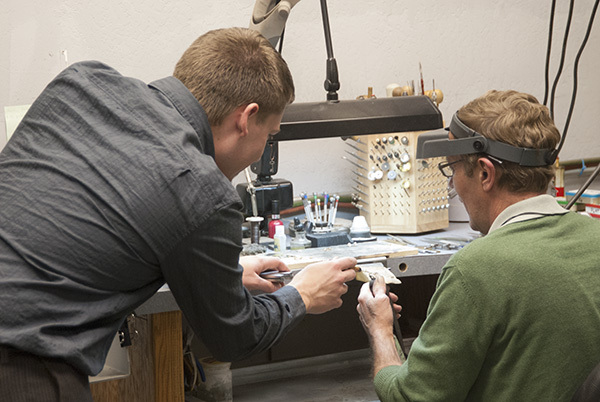 The Graduate Gemologist degree qualified Angelo to identify hundreds of gemstones and detect the latest treatments and synthetics. The GG also gives him an advantage when buying and selling diamonds and colored stones by understanding how external market factors affect the value as well as the quality grades of the gems. Angelo Parisi is a jewelry appraiser. Angelo is also the main jewelry buyer at his store. He travels around the country looking for the best deals to display in his showroom and web site. Angelo evaluates and buys jewelry from the general public as well. 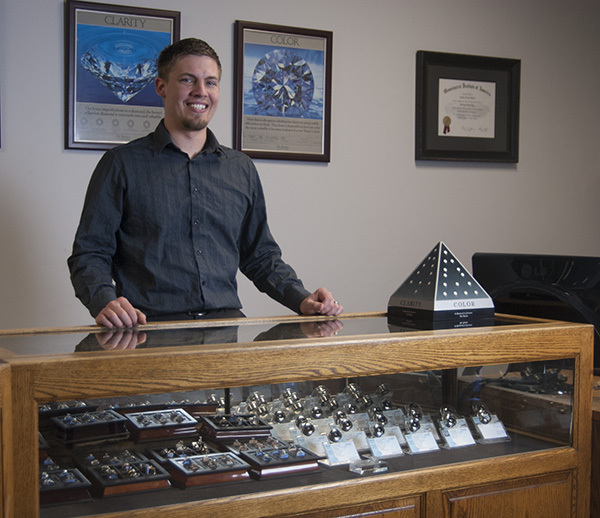 He will give you a free jewelry evaluation so you will know the value of your jewelry. Angelo values his family and his faith the most in his life. He has many hobbies like rock crawling with a tricked out buggy, mountain biking, hiking, racing cars and many more. He also loves his pets like a Great Dane puppy, two cats and a younger sister.